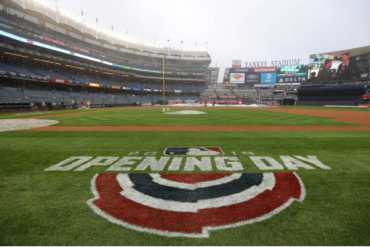 Just over a month ago, I was writing optimistically about the Yankees AL East hopes. In the wake of the trade deadline, they stood just 5.5 GB in the division and faced an encouraging schedule through the month of August. I thought the Yankees chances of claiming their first division title since 2012 (!) were quite good. I’m here today to deliver a more sobering message. After a month of treading water and with the Red Sox continuing to steamroll everyone in their path, the Yankees division hopes seem all but finished. Projection sites Fangraphs, FiveThirtyEight, and Baseball Prospectus all place the Yankees chances at 1.0% or worse. It’s time to focus on the Wild Card game and securing a spot in the ALDS. Coming into the season and through the first half, the question of who would start a potential play-in game had a clear answer. Luis Severino had established himself as the undisputed ace of the staff, and pitched to no less than a 1.98 ERA through his first 18 starts. He allowed more than three runs on just one occasion, and finished six innings in all but four of those starts. Even after his shambolic 2017 Wild Card game start, it was impossible to make an argument that anyone but Sevy should start the Wild Card game. But Sevy’s continued struggles since the start of July, highlighted by the demolition handed down by probable Wild Card opponents Oakland just a couple nights ago, threw that logic out the window. Sevy’s consistency is now of the detrimental kind, allowing less than three runs just once in his past 11 starts. As things stand on September 7, it is an entirely open question as to who will start on October 3 with the season on the line. Among the many imperfect options the Yankees have at their disposal, I believe J.A. Happ represents the most attractive choice. While there are countless methods of analysis to answer this question, there is one factor that I value above all in an elimination game starter: consistency. With a bullpen as deep as the Yankees have at their disposal, you don’t need a home run from your starter. Above all, you need at least five solid innings that minimize the risk of putting you in a major deficit. 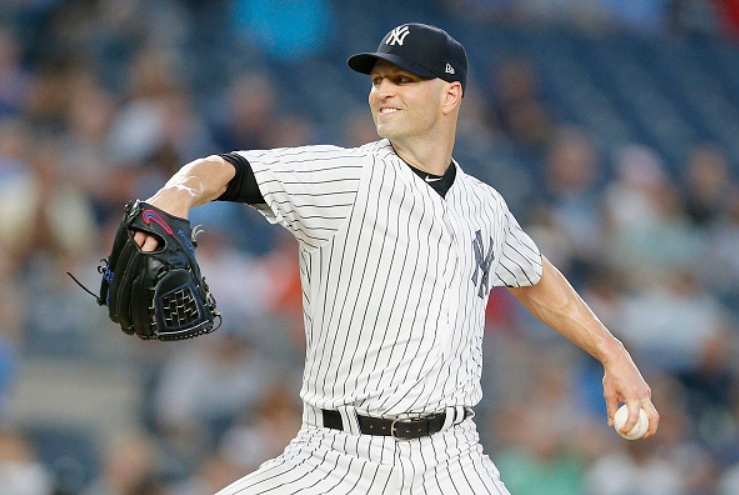 Happ has been the image of consistency in his Yankees tenure thus far. 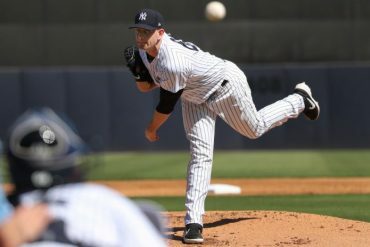 Through his seven starts in pinstripes he has completed five innings and allowed fewer than three runs on all but one occasion. The exception was a somewhat fluky start against Detroit in which he allowed three homers and five runs in just 4.1 IP. His success is driven by two major factors: limiting hard contact and avoiding free baserunners. Happ’s soft contact allowed sits at 20.9%, second only to CC Sabathia among Yankees starters. He also comes in just behind CC in his ability to limit hard contact, allowing just 31.0% hard hits against him. He appears to be the definitive runner-up in limiting batters’ ability to barrel him up. Where Happ has a significant leg up on CC is ability to generate strikeouts and avoid free passes. The big fella walks hitters at a league average rate of 3.14 BB/9, and is a below average strikeout artist at this late stage of his career with approximately 8.29 K/9 this season. Happ, on the other hand, is comfortably above average in both, striking out hitters at a 9.89 K/9 rate and allowing a 2.56 BB/9 ratio. All of this results in Happ’s comfortably superior ability to limit baserunners. His 1.13 WHIP is tied for best on the team with Masahiro Tanaka, and is well below CC’s 1.31 WHIP. Part of this difference is also driven by Happ’s lower BABIP than CC, usually not instructive but interesting given that Happ played with one of the worst defensive teams in the Blue Jays behind him for much of the year. Though it may simply be noise and BABIP is notoriously fickle, Happ seems to have a successful formula for not only inducing hard contact, but also generating outs on balls in play. Now of course there are other options for the Yankees to explore besides Happ and CC who I’ve primarily compared. With Severino tanking recently and Sonny Gray…I won’t even go there, but the point stands that Tanaka is another option for the Yankees. I find him unattractive for two main reasons: his tendency to allow home runs, and the boom or bust nature of his outings. On the first note, Tanaka allows 1.54 HR/9 and 18.3% HR/FB, both worst among Yankees starters and among the worst in all of baseball. 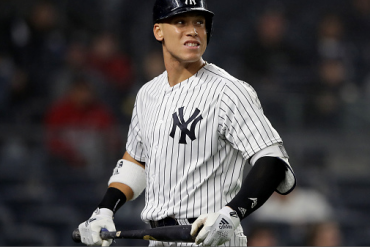 Though he somehow manages to mostly limit them to solo home runs, a poorly timed homer with men on base could doom the Yankees in the Wild Card game. 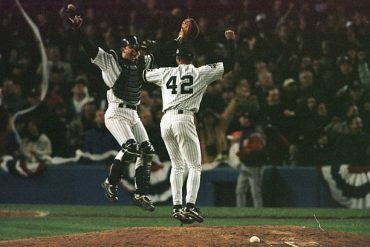 Being home run prone in an elimination game at Yankee Stadium is not a desirable trait. That feeds to larger point, which is that Tanaka has the tendency to be either terrific or terrible, with little in between. In 10 starts this year he’s gone 6 IP or more with less than two runs allowed. On the other hand, he’s had six starts with 5.1 IP or fewer and four or more runs allowed. With the high premium I have placed on consistency, that volatility is extremely worrisome and what primarily scared me away from Tanaka. The Yankees don’t have a silver bullet here. Many have suggested that bullpening is the best solution. While I personally don’t think it gives them the best chance to even win the Wild Card game, even if it does they’ll have destroyed their depth for the ALDS and potentially ALCS. For all the heat Girardi took for his bullpen choices against Cleveland, he was largely handicapped by the 26 outs the bullpen had to get in last years Wild Card matchup with the Twins. Obviously, the best option is for Severino to become the guy he was and take the ball in that game. But with that not looking realistic less than a month out, Happ is the lesser of many evils. 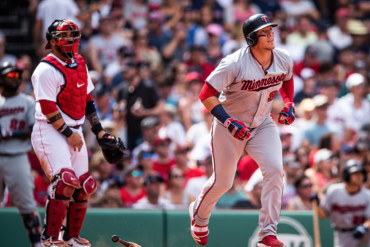 He is consistency, avoids disastrous innings and outings, limits baserunners and hard contact, and has a long track record of success in this league. 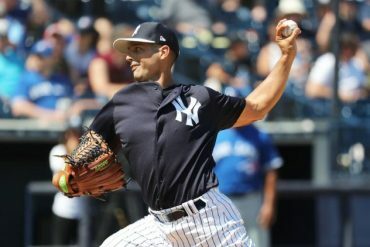 He’s a veteran who won’t be overawed by the moment, and needs to be merely good, not great, to help the Yankees win. Of course, many things can change in this final month of the season. But if things continue on their current path, Happ may indeed be the Yankees best hope of securing a date with the Boston Red Sox in the ALDS.